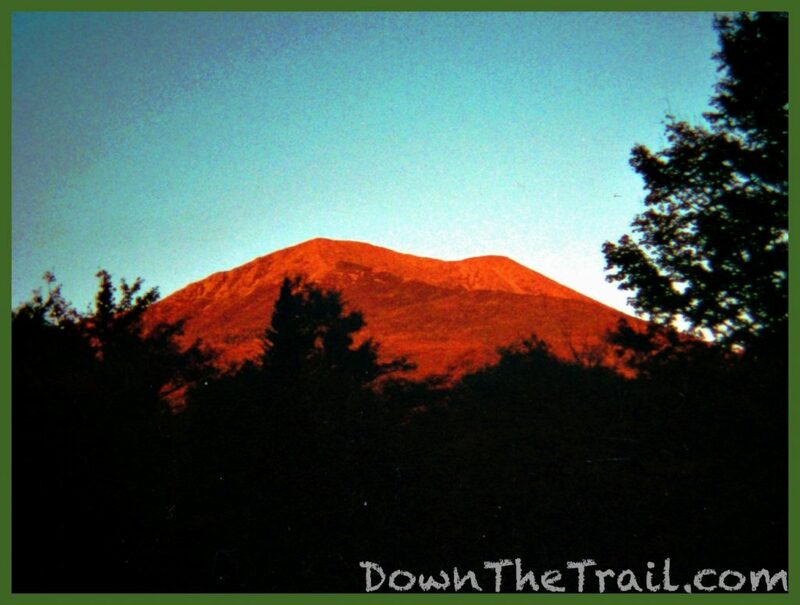 The descent from Katahdin is a blur. Hollywood grabbed some photos of me before leaving the Tableland. 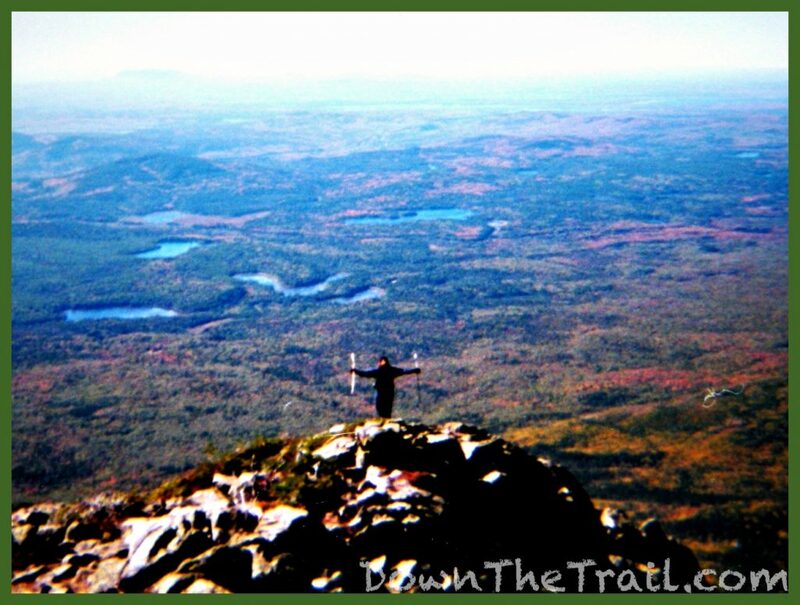 I looked back at Baxter Peak, the summit of Katahdin, the holy place. As I write this sixteen years later I still have not been back to that place. Maybe I’ll never return. 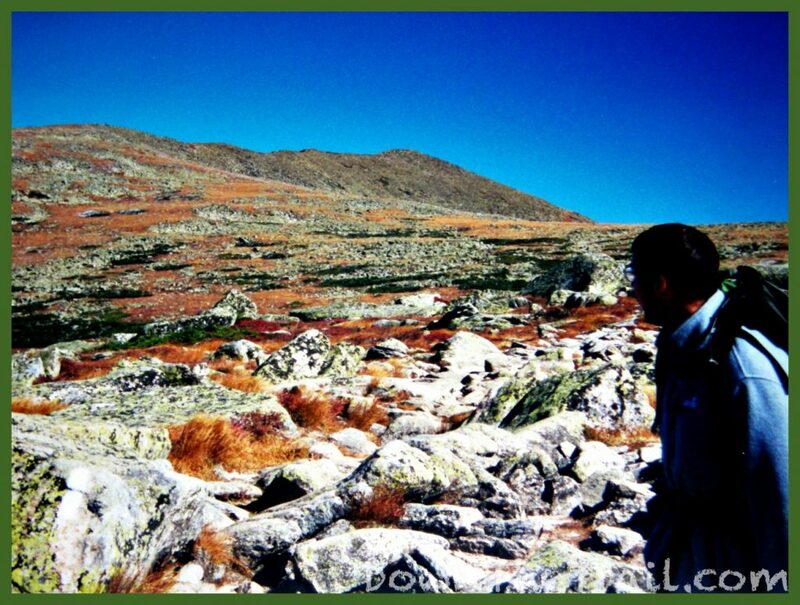 Somewhere along the way we encountered Skeeter and Jeannie as they climbed the mountain. They would finish the Appalachian today, too. Somebody (Not me) grabbed this epic shot of Sandfly on the way down the mountain. I’d be lying if I said I wasn’t physically exhausted with screaming knees by the time I reached the bottom. But once I was there, the scene was all hugs and smiles. I cannot express the happiness I felt. 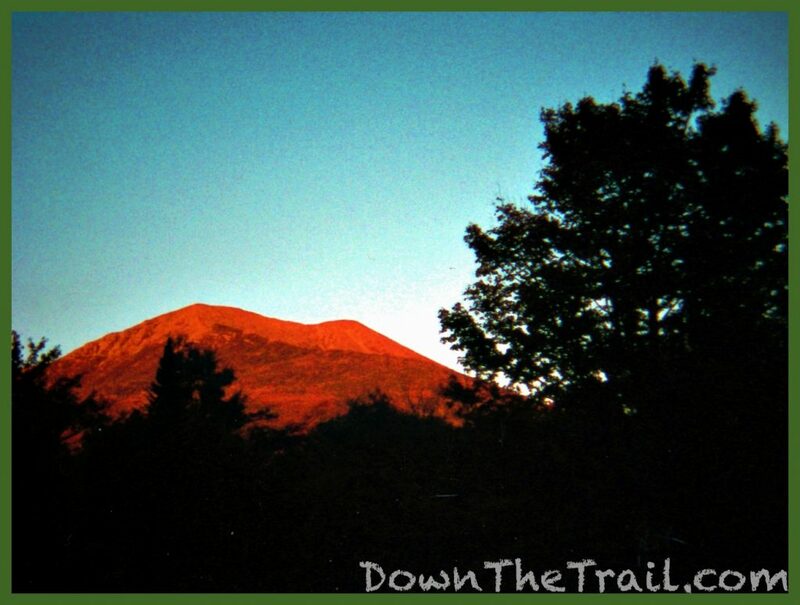 A deep alpenglow shined on Katahdin at sunset. Such perfection. We bumped into Big Red, the vehicle based thru-hiker, and he gave us a ride away from the Trail for good, to the town of Millinocket. There the entire crew got rooms at place called the Katahdin Inn, where they had an indoor pool and hot tub. The grandest of celebrations ensued. We took over a small dive bar called The Blue Ox en masse, and later the party spilled over to the hotel. It was amazing to enjoy the culmination of such a perfect and momentous day. It was also a long, exhausting day precluded by very little sleep, so I crashed a little sooner than some of the others. I think I spent a second, quieter night in Millinocket, just to catch up on rest and enjoy the hot tub. Some folks left in the morning, thus beginning the long string of goodbyes as we parted ways. 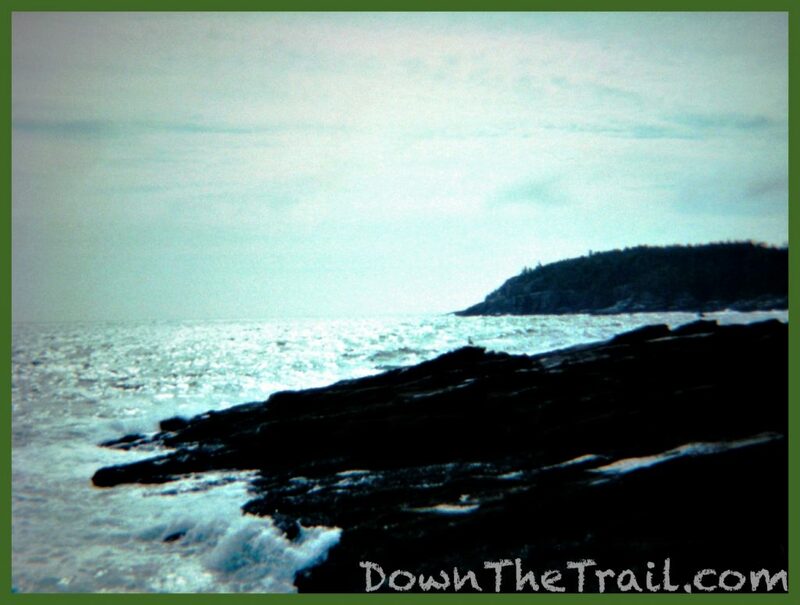 Hollywood and I had no deadlines or commitments, so we spent some extra time in Maine. 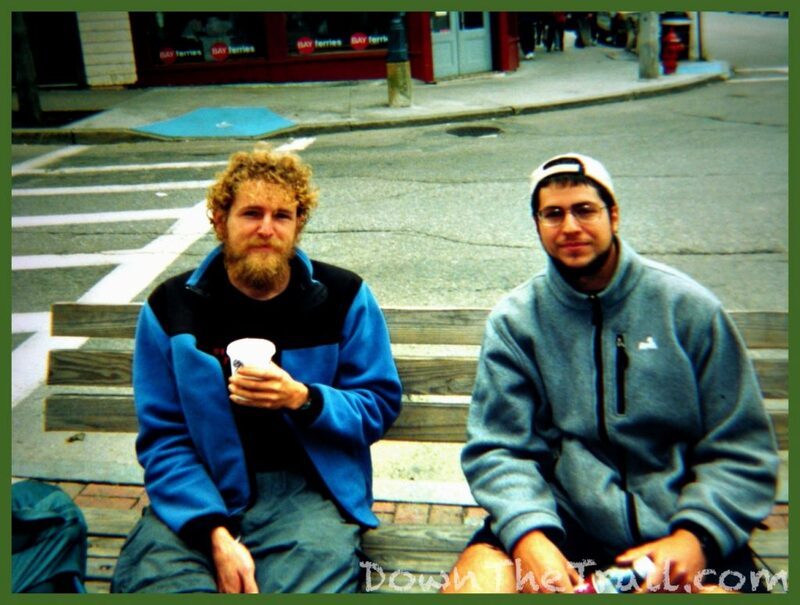 We hitchhiked together from Millinocket all the way down to Bar Harbor in just three rides. One ride took us all the way down interstate 95, driven by a lawyer in a nice Saab – probably the fanciest ride I’d ever procured through hitchhiking at the time. Killing time on the Square in Bar Harbor. We bought a developed campsite at Acadia National Park for a few nights. The idea was to hang out and explore the Park, but we ended up spending most of our time burning wood around the campfire and cooking and eating as much food as possible. 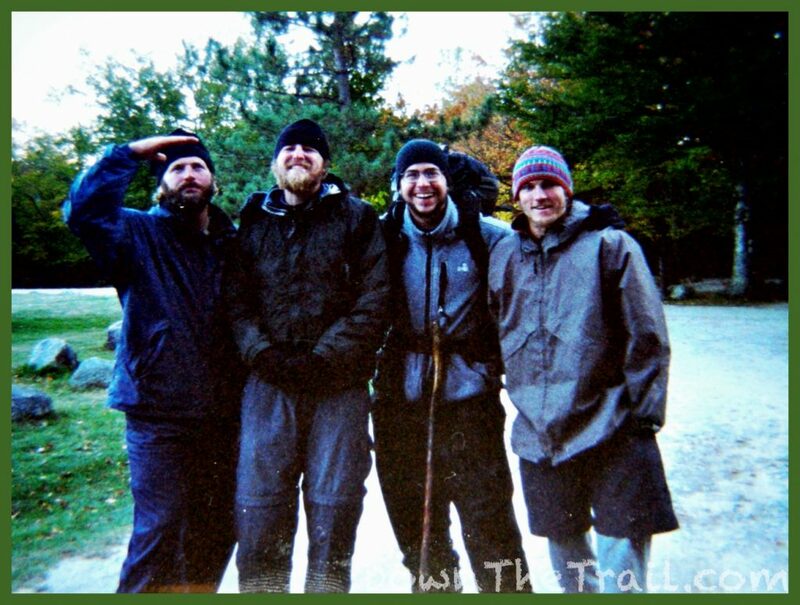 Our bodies seemed to know that we were done, and disagreed with doing any more hiking. 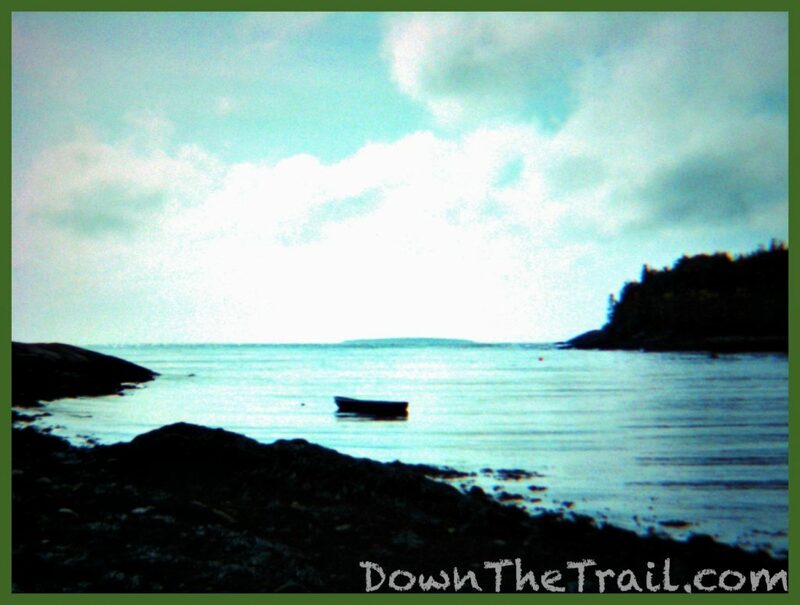 One day we rented bicycles and checked out a few of the overlooks along the seashore. 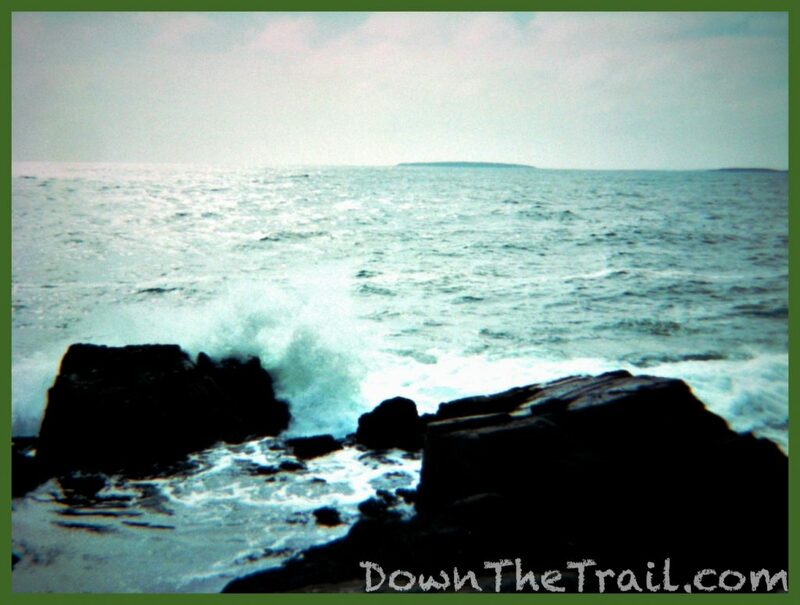 I’d been excited to see the classic, rocky coastline of Maine (Growing up I’d only been to the beaches in New Jersey), but the day was gloomy, lacking in scenic drama, and mildly disappointing… or maybe I was just exhausted. I think there’s supposed to be lighthouse somewhere in this picture. 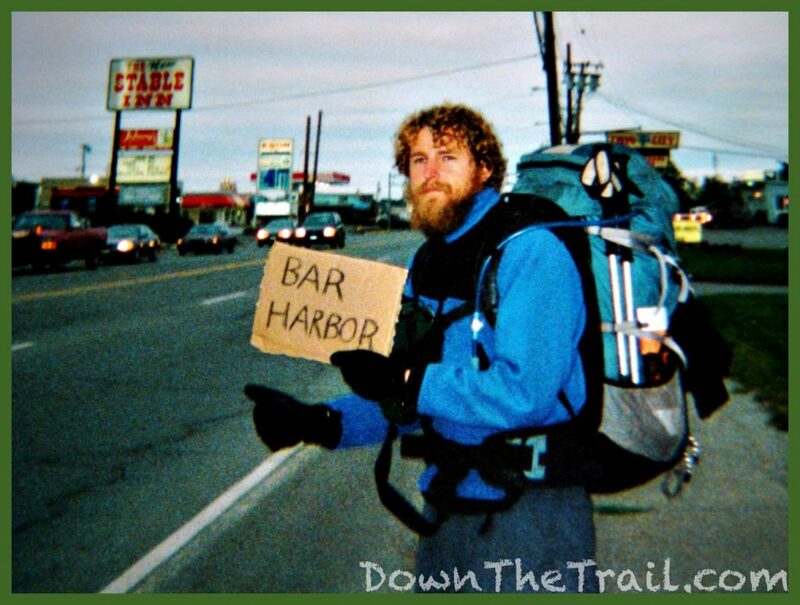 Eventually Hollywood saw me off at the Greyhound station in Bangor, and we were left to our devices. For me parting ways was like disconnecting from the last piece of the hike – there was nothing to do but go home from here. 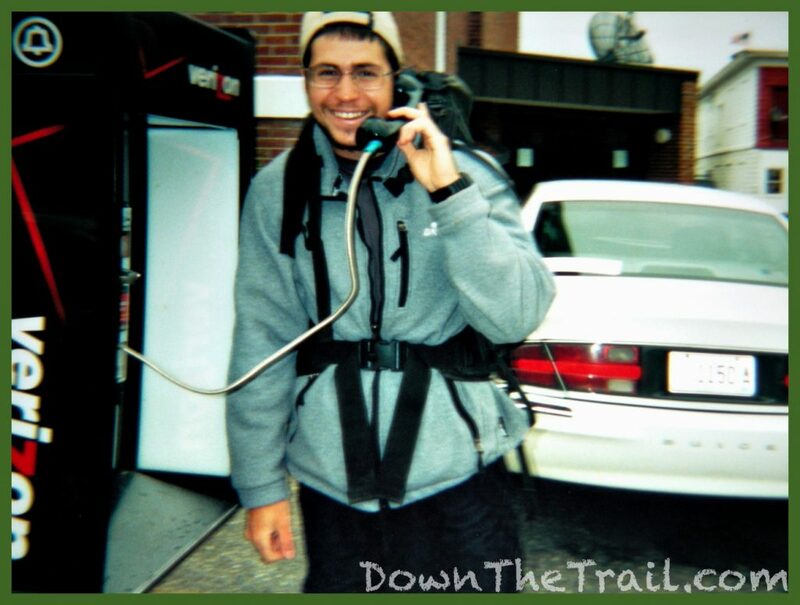 Greyhound is a notoriously inefficient way to travel, but it seemed to whisk me away in no time at all from the world of the Appalachian Trail in Maine to my home in Allentown, Pennsylvania. I got back to work in the restaurant industry and enjoyed the holidays with family. In the spring I moved out of my mother’s house, into my very own apartment for the first time. 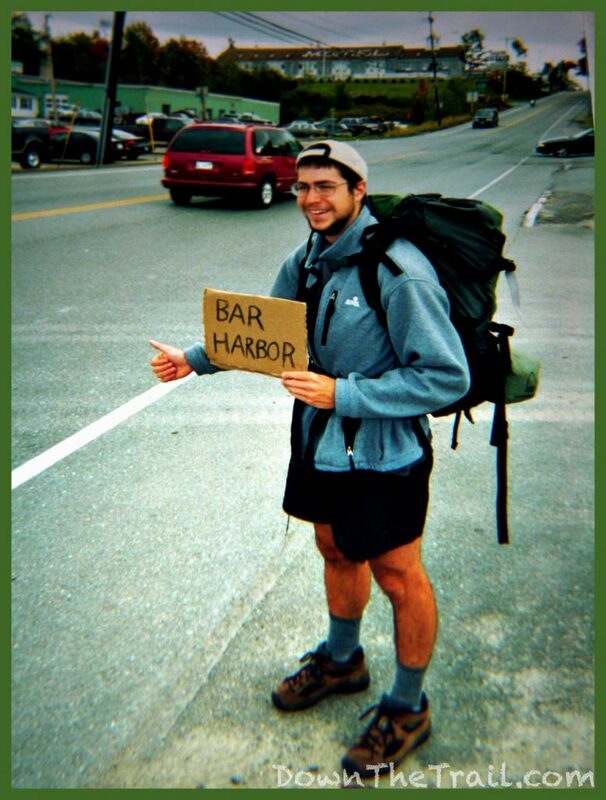 Less than four years later I’d set out to ride my bicycle across the United States. Fantastic Trail Journal! 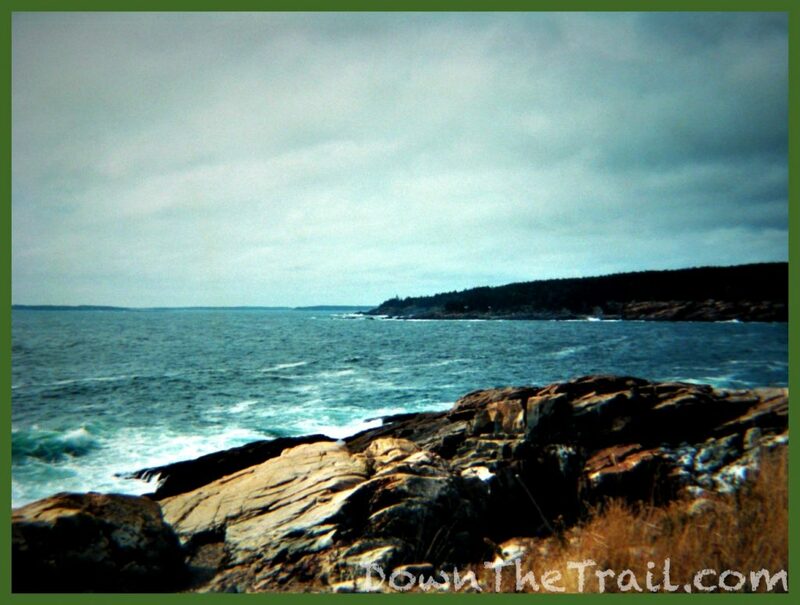 The AT and CT are both in my bucket list, I really enjoyed reading your account of hiking there trails, great job! !